1) Probably, unless there is a God, there cannot be objective moral obligations. 3) Therefore, probably, there is a God. I realize that some of Lewis’s rhetoric suggests something stronger than the probabilistic argument I present here, but part of the responsibility of a philosopher succeeding Lewis is to develop and strengthen his arguments and to make reasonable conclusions as to what the arguments really do show. An important part of Lewis’s defense of the moral argument is his argument for objective moral values. However, it is important to point out that Lewis had a considerable interest in defending moral objectivity per se. Hence, his book The Abolition of Man was a critique of subjectivist philosophy, particularly as it manifested itself in the underlying presuppositions of English textbooks. He criticized Lewis in the previous edition for comparing moral values, for the subjectivist, to a mere, private taste of his own, such as a liking for pancakes or a dislike for spam. In this edition he does admit that Bertrand Russell compared moral values to a taste for oysters, and maintained that there could be no debate concerning moral values. This we might call simple subjectivism. However there can be a more sophisticated type of subjectivism, and here he turns primarily to the philosophy of Hume to provide a foundation for the kind of subjectivist view that he finds unrefuted by Lewis’s arguments. Indeed, if someone were to try to generate a moral system without appealing to anything which might embarrass a modern naturalist ontologically, such as Kantian synthetic a priori knowledge, Platonic forms, Aristotelian entelechies, or the Christian God, it’s hard to improve on Hume, at least as a place to start. The moral life, for Hume, rests on two pillars: social utility and sympathy. First, human beings have an interest in getting along peaceably with their fellows. Second, we all have sympathetic feelings toward others. Some feelings are private feelings of our own, such as when we call a certain person “my enemy.” If I have personal feelings of enmity toward someone, it may be simply that he and I are rivals for something that we cannot both have but which I desperately want. But if I call him vicious, Hume says that I am expecting other people to concur. So if I were to call, say, a serial killer vicious, I expect the sympathy of other persons toward his victims and their families to bring them to the same conclusion that I have drawn. But I think there are some problems which attend Humean subjectivism which also attend other forms of subjectivism that say “Yes, moral judgments are subjective, but, they have characteristic X that puts them a cut above other subjective feelings. First, there is a social utility to much behavior that we call moral, but the social benefits of the moral life are rather contingent. If I have long ago committed a murder, and am living peacefully in another state, I can effectively ruin my social life by confessing the crime, and yet that is precisely what I ought to do. Slavery was pretty socially useful in undergirding virtually every society from the Egypt of the Pyramids to the antebellum South, but it is nevertheless a morally unacceptable practice. Hume appeals to the universality of sympathy as a basis for the moral life, but does sympathy alone possess this universality? Competitiveness, the desire to get ahead of the other guy, is, so far as I have been able to tell, pretty universal in the human frame as well. (Drive a few miles in rush hour traffic and ask yourself whether sympathy or competitiveness has a greater purchase on human nature). Our morality is supposed to step in and act as a referee when we are pulled by two opposing impulses. So I am driving down the road on the way to an important meeting, and I see an injured person lying in the road. I want to get to the meeting, because a promotion hangs on my being there, and I want to climb the ladder at my job. But the person in the road needs my help. Yes, my sympathy is on the side of stopping by the side of the road, but I also want that promotion. Why should I obey my sympathy as opposed to my desire to get ahead? I don’t think Hume’s theory, or any other subjectivist theory, provides a good answer. The Bible teaches that God created the world in six literal days, about 6000 years ago. Science teaches the theory of evolution. Scientists are using the scientific method as best they can, but for this, science is just wrong. The Bible is God's word, and therefore science is in error. The closest I have ever seen to this has been Gosse's theory that God created the world with fossils already in the ground, to fool the scientists into believing that evolution is true. "He traps the wise in the snare of their own cleverness." I Cor 3:19. Polling data suggests that even religiously unaffiliated younger people have a profound spiritual hunger. I think this supports the claim that C. S. Lewis's Argument from Desire is correct in supposing that our very nature hungers for something that only God can satisfy, and also the claim that there is something deeply unnatural about atheism. "When the President Does it, That Means That it is Not Illegal" - Richard Milhous Nixon. Ronald Reagan said the scariest words in the English language were "I'm from the government, and I'm here to help." Eli, from FireDogLake, thinks that the ideal of limited government sounds good, until someone actually tries to put it into practice. I remember sending a e-mail to a friend of mine in which I said if I wrote a book, its title would either be "C. S. Lewis's Dangerous Idea" or "If the Watchmaker were Really Blind, Dawkins Wouldn't Know It." I'm glad I picked the first one, but I like the second one as well. I think the sequence in which my argument is presented is important to the project. A friend of mine once told me that he thought that if there were laws passed against abortion, they would never be obeyed and never be enforced. Forget about the back alley abortionists. The front door of the abortion clinics would be open, and law enforcement would be powerless to enforce the law. Now if a law is unenforceable, perhaps we are morally obligated to have the law anyway. But it would be worthless as a deterrent. I knew about these types of arguments when I was a teenager, reading Halley's Bible Handbook. But some archaeologists are arguing quite the opposite. You don't understand intelligent design! That's the charge of this response by Jay Richards to Stephen Barr. Actually, people before Columbus believed the earth was round. There were two schools of thought. One said the earth was big, and if you sail west you will run out of food and provisions before you reach the Indes. The other, led by Columbus, said it was a lot smaller, and that you could reach the Indes in a reasonable length of time. Columbus was wrong about the size of the earth. But neither group expected there to be a whole different continent between here and the Indes. In fact, Columbus never figured it out. Hence the misnomer “Indians” which survives to this day. Is Satan winning the numbers game? You have a completely defeated being who, according to Christian theology, is nevertheless alive and well on planet earth and is doing all he can to ruin the eternal existences of as many people as possible, and is successfully seducing a lot of people into sin and damnation. That doesn't look, at least at this point, like total defeat to me. If the people who die having accepted Christ's atonement are saved, and people who die without having accepted Christ's atonement are lost, then it looks as if the devil is beating God in the numbers game. 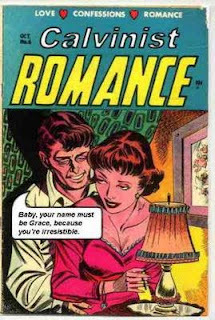 Well, it's easy to see what the Calvinist answer is. But where do you go if you don't want to go there? At least you can see the argument from exclusivism to Calvinism. Suppose we could, at no cost to ourselves, prevent the painful death of a deer in a forest fire. All things being equal, this is what we would be obligated to do. Now we might decide that we have to consider our own safety, or our own limited abilities, in determining whether to rush into a burning forest to save a deer. But, if we could save a deer by pressing a button on our computer, woudn't we do so? When we see some unfortunate thing happen, like the disaster in Haiti, we certainly are inclined to hold anyone accountable who could have prevented the tragedy at no cost and failed to act. But what about God? God had the ability and the knowledge to prevent any catastrophe that happens. So if He knows about them in advance, he has the ability to prevent them (this is entailed by omnipotence and omniscience), the only conclusion, apparenlty, is that he doesn't want to prevent them. Suppose we were to find out that a multi-billionaire, who has recently died, had a room where he could go with all the latest computer equipment, and he had the power to stop any of the world's great tragedies of the last 10 years. He could have pushed a button and spared us from 9/11, maybe by causing the hijackers to throw up in the bathroom instead of charging the cockpit with box cutters. He had the ability to send Hurricane Katrina back out into the Gulf of Mexico and away from the city of New Orleans. He had the power to spare Haiti from the earthquake, and the Asians from the 2004 tsunami. But he did nothing. Would we think well of this person? Yet, God is supposed to be perfectly good. Now I don't buy this argument, surely, but it is important to see the force of it. It's the number one reason atheists will give you for why they are atheists. Not the original Thomson article, but the new one that BDK linked to. This is a redated post, which contains a version of what I have been calling the deer hunter argument. For a fee, of course. HT: Steve Hays. But do you get a full refund if the atheist converts to Christianity before the Rapture? To me, at least, is the deer hunter argument is the strongest pro-life argument. It goes like this. It is difficult, perhaps, to look at the fetus and answer the question of whether it should receive a right to life equivalent to that of an infant. However, some take this situation as a reason for outlawing abortion, because of what I call the “deer hunter argument.” The deer hunter argument says that if you are hunting deer and you are in doubt as to whether something is a deer or a person, you are morally obligated to assume it is a person and hold your fire. You can be criminally liable if you don’t. Similarly, if you are considering allowing a fetus to be aborted, but you are not sure whether it is a person or not, you should refrain from killing it, and you should be criminally liable if you do. What is the best pro-choice response. An implication of utilitarianism that I have never heard discussed much is that pain turns out to be a fate worse than death, according to it. If the calculus attempts to determine what is right based on whether something produces the best balance of pleasure over pain, who is or is not dead seems not to count. Death is just a way of going to zero: no pain and no pleasure either. If you are a utilitarian and you know how to put people out of their misery painlessly, maybe a career as a serial killer is morally obligatory for you. Newman thinks moral goods are far more significant. At least according to this study. HT: Tom Gilson. I suppose a really good study would break it down between soft determinists and hard determinists. Maybe it's just the hard determinists that are skewing the curve. At least some of them. This is an interview with Granville Sewell. 1) In cases where the child is already born, it should be a crime to kill the child if it is, say, an inconvenience (which children invariably are). 2) We should be concerned about the quality of life as well as about life itself. The question is whether the case of a fetus is in any way relevantly different from the case of a born infant. No one questions the value of life or the value of the quality of life. They just disagree about whether the fetus is relevantly different from infants and toddlers. But there seem to be agreed-upon moral truths that both sides accept without question. Sometimes we get so busy arguing about the ethics we disagree about, that we forget the huge number of moral judgments on which most all of us agree. But of course it would get boring in ethics class if we were to argue about, let's say, the ethics of serial murder. For those of you sufficiently blessed to be able to use JSTOR. Must a Punishment be Like the Crime in order to Fit the Crime? I think this is a popular confusion. Retribution theory, as I understand it, requires that we deprive the criminal of happiness, as commensurably as we can reasonably make it, to the degree that the crime was wrong. It doesn't mean that the suffering the perpetrator is supposed to receive is to be similar in nature to that which he inflicted on his victim. This is often implied in "eye for an eye" arguments. I realize in the eye for an eye case, there is a similarity of crime and punishment. But I do not see this elevated to the level of principle, even in the Old Testament. Do Conservatives want a Meritocracy? On one level, my political allegiances are somewhat more left than right, and in the present political situation I am inclined to vote for Democrats as opposed to Republicans. But I am not a real believer in the political spectrum: I think that interest-groups get a hold of the major political parties, rendering them capable of dumping their most fundamental principles if those interests are in danger. It is, for example, somewhat ironic that Michael Moore's movie about capitalism spends much of its time complaining about the massive bailout of the banks in mid-2008, a step that is one of the most socialistic things our government has ever done (in spite of the fact that it was spearheaded by Republicans). I read conservative thinkers and think they must surely have something fundamentally right, I see conservative politicians and remain convinced that whatever conservatism has right, these political leaders have no idea what it is. I think a lot of issues strike me as only contingently liberal-conservative matters: I can easily imagine a world in which all the liberals are pro-life, (protecting the weak against the strong you know), I can imagine a world where the conservatives are the environmentalists, conservatives of another era would not have favored such things as the invasion of Iraq or the use of enhanced interrogation techniques (torture, for all you English speakers) against detainees. One conception that seems popular is that conservatives, more than liberals, want to restore to the idea of merit a central place in our political thinking. Affirmative action, an idea popular amongst liberals and scorned by conservatives, takes advantages away from those who merit them, and gives them to those who lack such merit. But this piece suggests that meritocracy is a bad idea which conservatives ought to reject. 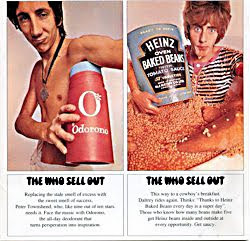 I used to love the Who. But somehow anthems of adolescent rebelliousness ring a tad false coming from men in their sixties. Especially when their voices are shot, their drummer wasn't born when the original songs were written, and one of their signature lines is "I hope I die before I get old." Watching their "performance" at the Super Bowl halftime show, I actually was tempted to say "If only you had." So why did are they still up there? The explanation can only be found in the title of their third album. Does Evolution Select for Truth? Quine thought so. "Creatures inveterately wrong in their inductions have a pathetic, but praiseworthy, tendency to die before reproducing their kind." This is a response to some frustrations which a student expressed to me, and which are, I think, typical of a lot of people who are introduced to the subject. If you've taught philosophy for any length of time, you know where this student is coming from. I know that philosophy, by its nature, can be frustrating, and it requires somewhat different skills than what you might be accustomed to using in other classes. I make no apologies for that; the discipline of philosophy is what it is. There is a common conception when students come to philosophy classes that everything falls into two general categories, fact and opinion. If it is a matter of fact, we can settle it by some broadly scientific method. If it is a matter of opinion, then different people have different opinions, and we are all entitled to our opinions. Philosophical questions are all matters of opinion, and therefore there is something absurd and perhaps even offensive about grading a philosophy paper. I think this neat division of everything into two boxes, fact and opinion, which we learned all the way back to fourth grade at least, is a distortion of the truth. Just because we cannot settle a question to everyone's satisfaction through a well-defined method doesn't mean that there can't be better or worse reasons for believing what we do, or that we shouldn't be aware of the reasons for and against what we believe. Whether it is worthwhile to spend time working through one's world-view and putting a lot of reflection into that, or whether there are other, more adequate uses for a person's time is not something I can answer for someone else. But people do have decisions to make that affect their lives. They have to decide whether to become actively involved in one of the world's major religions, and for Western religions, this invariably involves belief in the existence of God. They have to decide what they think is real. They have to decide what sources of knowledge they can rely on, and what sources they should call into question. They have to decide by what rules they decide what is right and wrong. And they have to decide whether they really think they have a free will, and also whether they are the persons who have an eternity to look forward to, or whether it all ends with the grave. Even if you have decided all these questions in your own mind, others around you are making those decisions, and I take it you are in conversation with them. As for grading philosophy papers, I do not grade papers in philosophy on the basis of whether I agree with the person's beliefs. Two things I look for are 1) How clearly you state your own position, and 2) The extent to which you carefully reflect on and articulate why you believe what you do as opposed to what others believe. I wouldn't have ended up in the job that I have if I didn't think that philosophy was a valuable enterprise. I cannot make that judgment for other people. However, since we're in a philosophy class, we have to do the philosophy curriculum. After 23 years of teaching experience, I can tell you that you are not alone in your philosophy frustrations. So popular with TBN. I guess that is why I have never liked Christian television. The logical conclusion of the animal rights argument? Are there such for other theological traditions? HT: Ed Babinski. I was listening to a religious radio station to a program on finances a few years back. The program said that people are, of course, commanded to tithe to the church. If you are a husband, and you want to tithe, you can and should make that decision for your family. However, if you are a wife, and you want to tithe but your husband doesn't, then you can try to change his mind, but it is his decision as to whether or not the family tithes or not. Now, even if you believe in a hierarchy between men and women, is this sort of a conclusion required? Does "headship" translate to "final decision-making power?" These conclusions are typically drawn by Bible teachers, but I never see them actually drawn in the text of Scripture. And if, as Ephesians 5 clearly teaches, both husband and wife are enjoined to submit to one another, how is that even possible if the man always knows that if he holds out long enough, his wife is going to have to give in? There may be a certain modicum of decent behavior that we need to engage in in order to function socially. But sometimes people have a lot of money thrust into their hands, and so don't have to have the ordinary middle-class pressures. Or one can be very poor and desperate for money. If you are moderately privileged, you need morality to get along, but if you are really poor, you can't afford it, and if you are really rich, you don't need it. Professional athletes and singing stars often find themselves with a lot of money, power, and acclaim that is beyond their maturity to deal with, and they often wreck their lives because of it. (Lindsay Lohan, Paris Hilton, Britney Spears, etc.) Kurt Warner seems to want to use his position for the benefit of others, but he is motivated, quite obviously, by religion. To sum up, certain situations give us a reason to be moral, but those reasons don't hold up if the situation changes. A belief in moral theism, on the other hand, provides a moral motivation that transcends the situations in which we find ourselves. HT; Steve Hays. But if animals can be saved, can they also be lost? If you are a Calvinist, does animal reprobation become a possibility. In The Problem of Pain, Lewis answered the question "Where would you put all the mosquitoes?" by pointing out that a heaven for mosquitoes and a hell for men could effectively be combined.